The Adventure Time heroes are going to entertain you. Click on the screen to rotate figures and match some faces. What is you favorite universe? 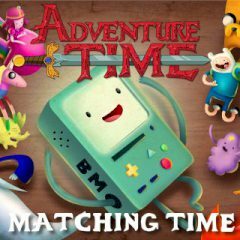 If you are playing it then Adventure Time is everything for you. Well, it's time to play good old games but with a slight changes. Watch the faces of your favorite heroes drop down!